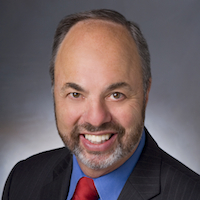 By Ken Doctor @kdoctor March 27, 2019, 2:05 p.m.
Look past the view of the 105. Beyond it is the unfolding of the 21st century, delayed but now in full force at the Los Angeles Times. That’s my big takeaway from a visit to Patrick Soon-Shiong’s new temple to next-stage journalism. 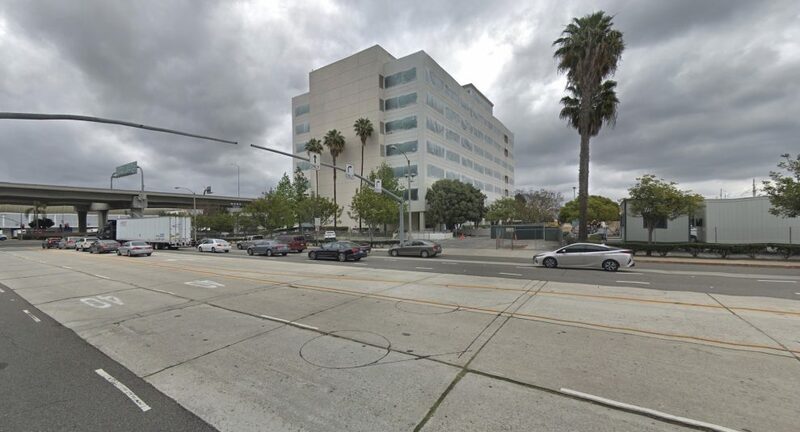 Last summer, he moved his just-purchased L.A. Times (whose lease was expiring) to one of the sprawling L.A.’s least glamorous addresses: 2300 E. Imperial Highway, El Segundo, CA 90245. (Google’s satellite view is revealing.) 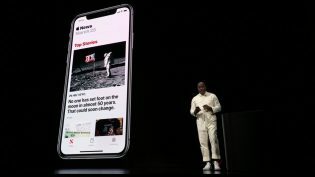 That move stirred some newsroom complaints early on, though the new address seems to have receded as an issue as Soon-Shiong and editor-in-chief Norm Pearlstine have laid out their fast-paced, if still incremental, visions of a new Times. The visions are big enough, but they stand out even more dramatically in a newspaper business still cutting its way to the future, looking to mergers and acquisitions as a short-term lifeline in the cash-poor trade. Like The New York Times and The Washington Post, the new L.A. Times wants to tell a contrarian story: Investment in the daily press underlines a deep belief in the power of journalism, optimism that it can make both readers’ lives and their democracy run better amid the gobsmacking rate of political and technological change. “So my concern was editorial, the newsroom. That was my very, very, very first concern,” Soon-Shiong told me in a two-hour interview. “I knew that that’s where I needed to go as my first and highest priority. My second priority now is the business model, but the business model, sadly — and I don’t mean this to sound in any way arrogant — has to be consistent with this next generation, not with the past generation,” says the 66-year-old Soon-Shiong. He’s put his money behind his ideas, taking a loss of about $50 million this year as he marches the Times forward. Soon-Shiong has been a man of some mystery in the news trade, his entry having been midwifed clumsily by one-time Tronc chairman Michael Ferro. In our wide-ranging interview — to be published in full here tomorrow — the med-tech billionaire connects many of the missing dots that have characterized coverage of him over the last several years. The Times’ turnaround from those bad old days (actually quite recent!) of the Tronc/Tribune/Ferro reign is nothing less than remarkable. The Times’ newsroom had unionized as Tronc’s tragicomic handling of its properties reached a denouement, and Ferro made Soon-Shiong an offer he figured he shouldn’t refuse. Soon-Shiong believes that had Tronc/Tribune kept title to the Times, it would have cut as many as another 100 jobs in the newsroom in short order. His June 2018 purchase stopped any new cuts in their tracks. Norm Pearlstine, one of America’s top editors whose career had been built at The Wall Street Journal, Time Inc. and Bloomberg, inherited a newsroom of about 440, including part-timers and contractors. That still ranked among the largest in the country; The New York Times counts 1,550, The Washington Post about half that number. Want a number that symbolizes the Soon-Shiong era? That 440 less than a year ago stands today at 535 newsroom employees. Many in the business thought that Pearlstine, 76, would play something of a caretaker role — a short opening stint to help orient Soon-Shiong in this business and then stepping aside to pick a younger successor. But Soon-Shiong told me Monday that he’s signed Pearlstine to a new multi-year contract extending his term as executive editor. It’s not just the number that matters — it’s also the kind of hires Pearlstine is making, near the top of the newsroom and throughout it. 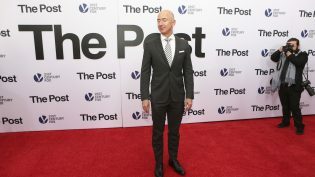 In leadership, he lured away from the East Coast both The New York Times’ Sewell Chan, who heads the news desk and is also responsible for audience engagement, and Slate’s top editor Julia Turner, who is creating the Times’ playbook for upping its arts and entertainment game. In this hiring binge, Pearlstine aims to do both the basic blocking and tackling required to heal an ailing news enterprise and to draw from the new world of digital journalism. His key hires of food critic Bill Addison from Eater and Peter Meehan from Lucky Peach signal an appreciation of journalism that comes from beyond old “newspaper” formulas. But even that almost 25 percent headcount increase in less than a year marks just the beginning of the Times’ expansion ambitions. Among the projects soon to get more attention is on the fifth floor. There, Soon-Shiong says, about 100 new staffers — about 80 of them still to be hired — will operate what he calls a new transmedia operation. The idea — in video, TV, audio, VR, games, and plain old-fashioned social media management — is multiplication. The strategy: Even as fundamental newsroom resources are being rebuilt, magnify their impact across all the means of distribution and audience engagement that technology now enables. Which will work and which will prove to be experiments to retire? Soon-Shiong is the first to say he’s not sure. (A previous transmedia company he backed, Fourth Wall Studios, closed in 2012.) But while his optimism about applying his Nant medical tech to journalism was sometimes lampooned when he first bought into Tronc three years ago, he’s undaunted in explaining tomorrow’s potential. Take another number: 157,000. That’s the number of digital subscriptions the L.A. Times has today. It’s roughly doubled over the past two tumultuous Times years. The growth rate is significant, as is the fact that it’s more than any other “local” daily in the U.S. But Soon-Shiong sees it as just the first handhold on a towering mountain. He wants to get to 1 million quickly and has a stretch target of 4 million over the next four years. As for Soon-Shiong’s stretch goal, New York Times CEO Mark Thompson’s recently setting of a 10 million subscriber total by 2025 is instructive. Thompson had laid out that seemingly impossible number two years ago, but back then, he didn’t put a date on it. Now, having reached 4.3 million total subscribers, no one laughs at the 10 million aspiration anymore. That tells us a lot about the digital news business and all the ground Soon-Shiong’s paper will have to make up quickly. Figure the L.A. Times is 6 to 10 years behind its East Coast models, the “papers” it once called its brethren and would like to again. As it retools, the L.A. Times faces new competition — including from that other Times. The New York Times is intently focused on California, home to 40 million people. It has more digital subscribers in California than in the state of New York. Its California Today newsletter is its Trojan Horse into the Golden State, competing with the L.A. Times’ “Essential California” newsletter. 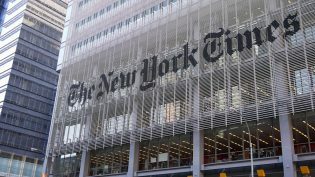 Even as the L.A. Times works to maintain its claim on food coverage, The New York Times went and hired its first-ever California restaurant critic. Maybe the meaning of the geographic identifiers in these two “newspaper” brands will be something quite different in the years ahead. Why might it take the L.A. Times a half decade or more — and continued reinvestment — to enjoy success similar that of The New York Times or The Washington Post? While any keen Angeleno will tell you that the Times’ troubles began when the Chandler family sold it (and the rest of Times Mirror) to Tribune Company in 2000, it’s been the past decade that inflicted the most pain to what was once one of the most powerful and influential of American press institutions. Certainly, the Chicagoans who ran Tribune — and often tried to run the Times from Chicago — never quite got it right, but it was the seizure of Tribune by bottom-feeder financier Sam Zell in 2007 that sent it into a deepening tailspin. Throughout it all — Zell’s reign, his five-year “bankruptcy from hell,” Tribune’s split into newspaper and broadcast companies, new management, and then the company’s second legal seizure by the arriviste Ferro in 2016 — the Times resisted. That resistance was both staunch and at times comical. The L.A. Times newsroom would come to be known, rightly or wrongly, as the toughest room in the country. Amid the turmoil, the L.A. Times was more a punchline than a setter of the news agenda, even though its newsroom through the years (and still today) has produced among the highest-quality newspaper reporting and writing in the country. Soon-Shiong, Pearlstine, COO Chris Argentieri, and the emerging new order of management also inherited a broken technology stack. As Tribune/Tronc reeled for a decade, it had both centralized its operational systems and technologies — and failed to sufficiently invest in them to keep them up to date. So even as the L.A. Times became “independent,” it remained — and still remains, roughly through the end of this year — stuck in part on aging, fatigued systems. Observers who wondered why Soon-Shiong signed a “standstill” agreement in January — allowing Tribune to commit to a merger or sale without his assent — have their answer. It was all that old tech that the Times still needs to publish (until its fast-paced plan to replace it all is complete) that was responsible. Soon-Shiong agreed to the standstill — which should make it possible for Tribune to merge with a McClatchy or otherwise sell itself — and in return got his “transition services agreement” extended until June 2020. There are still many decisions to be made as the clock runs toward that date. Among them: Will the Times keep or replace Arc, The Washington Post’s fast-emerging new newspaper platform standard? Does it believe that Arc can rise to the occasion and help power Soon-Shiong’s expansive vision for the Times? Argentieri notes the unique perspective Soon-Shiong brings to the beleaguered newspaper industry. If Jeff Bezos brought the best consumer marketing chops, Soon-Shiong brings his own highly profitable experience. 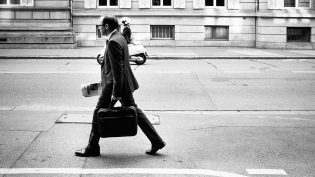 All of this transition — in hiring and in technology — comes at a hefty price. Which brings us to the third noteworthy number about the Times: $50 million. That’s the amount Soon-Shiong will have spent on the new Times in his first year of ownership. How much more investment may be possible? Says Soon-Shiong: “I’m willing to continue to make an investment and collectively, as a collective, to work together” — mindful of the first contract with the News Guild, which unionized the place the week before he took title. Like most other people of great wealth — Soon-Shiong’s fortune has been reported at over $7 billion — he’s not one to throw money around. Like Bezos, he’ll invest, but “he’s focused on where every dollar goes,” one insider says. As at The Washington Post, good ideas can get funded, but they’re approved by Soon-Shiong on an initiative-by-initiative basis. How has that tough (and “abused,” as Soon-Shiong puts it) newsroom responded? Conversations with several staffers suggest a wary optimism — about as good as it gets in any newsroom. When the first union contract is concluded, staffers will see raises that mark a clear departure from the experience of their brethren at other dailies, including those still residing within Tribune. Those raises should add up to at least a 10 percent increase over the next three years. For those who had been “underpaid,” the impact will be greater. “The company’s last/best/final offer on pay creates a series of pay minimums that would lift up some underpaid staffers fairly dramatically — in some cases, we’re talking raises of 30 percent or more on ratification,” says Pearce. In addition to wanting a piece of the intellectual property action involved in Soon-Shiong’s multimedia adventures (which Soon-Shiong discusses in our interview), the contract addresses the usual issues: severance, jurisdiction, and seniority. It could be a month or two away from completion. The guild, representing a workforce still recovering from shellshock, wants to add another clause to the new contract, one on “successorship.” Pearce: “So the contract survives, in the hopefully remote scenario that Patrick decides to sell the paper sometime in the next three years.” Just. In. Case. 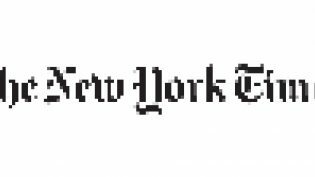 If you are reading this hoping to hear the new Times’ leadership clearly outline its strategy for the years ahead — sorry to disappoint you. Ever since Soon-Shiong bought the Times and pledged to rebuild it, people have been wondering about the big strategic questions. Will the new L.A. Times be more national, expanding still further a fairly robust and re-energized D.C. bureau? More global, seizing the opportunity of the “Asian century” and its spot on the Pacific Rim? More California-centric, seeing a “nation” of 40 million to serve? Or will it be happy to focus on dominating the large and wealthy southern California market? In other words, what category does the Times fit in now — or will it fit in in a few years? Is it America’s largest local newspaper in the country or its smallest national one? The reality is that the Times is creating the building blocks that could easily be used across multiple strategies and target audiences. For now at least, instead of worrying about classification, let’s watch what’s in at the new L.A. Times. Its ownership is only nine months old, but Soon-Shiong talks about a 100-year vision — there’ll be plenty of time to classify later. POSTED March 27, 2019, 2:05 p.m. Doctor, Ken. "Newsonomics: Inside the new L.A. Times, a 100-year vision that bets on tech and top-notch journalism." Nieman Journalism Lab. Nieman Foundation for Journalism at Harvard, 27 Mar. 2019. Web. 23 Apr. 2019. Doctor, Ken. "Newsonomics: Inside the new L.A. Times, a 100-year vision that bets on tech and top-notch journalism." Nieman Journalism Lab. Last modified March 27, 2019. 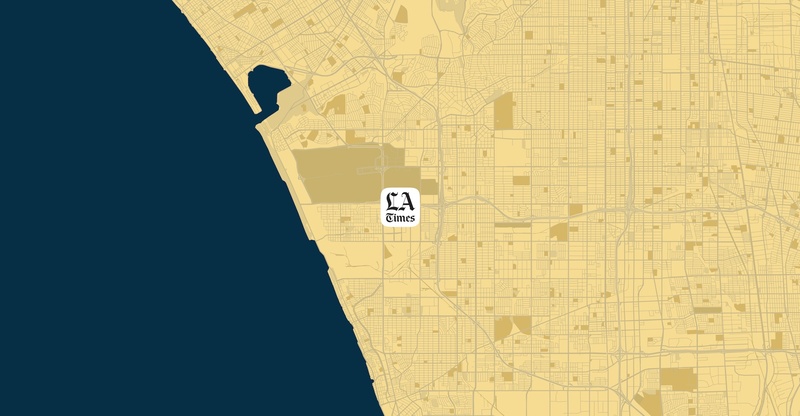 Accessed April 23, 2019. https://www.niemanlab.org/2019/03/newsonomics-inside-the-new-l-a-times-a-100-year-vision-that-bets-on-tech-and-top-notch-journalism/.